Brexit appears to be approaching a bewildering denouement. Prime Minister Theresa May has reached a dead end with a negotiated deal that met the criteria for leaving the European Union and would have done so in an orderly fashion but satisfied very few. Hard-line Leavers considered it so much of a betrayal that they ended up thwarting the deal. Soft-line Leavers, including the opposition Labour Party, offered less painful schemes that kept the UK so close to EU that they could be dismissed as pointless. Remainers sensing that, against the odds, they could pull the country back from the brink pushed for either a new referendum or even more drastically, a revocation of the notice of departure required by Article 50 of the Lisbon Treaty. As Clausewitz once observed about war, everything is simple but the simplest things are very complicated. The government has already run over time (the agreed departure date was last Friday) and may do so again. If it does not come up with a credible plan to put to the EU it will crash out on 12 April in a way that a parliamentary majority has said must not happen. 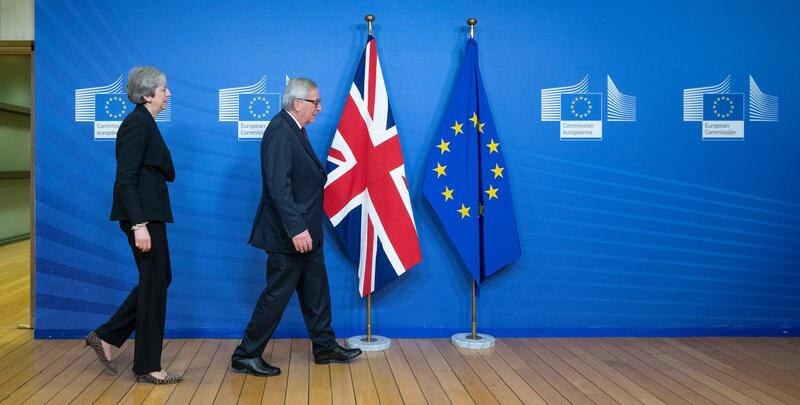 To the EU the UK is like a bad-tempered partner who decides to leave, argues incessantly and exhaustingly about how to divide up the contents of the house, but can never quite get through the door. As Clausewitz once observed about war, everything is simple but the simplest things are very complicated. The UK’s current position reflects three features of the process. First, the Leave campaign won by being deliberately vague and always reassuring about what Leave meant. The basic message was that there would be net gains in sovereignty and prosperity, and that whatever negotiations were required would be quite straightforward because of the strength of the UK’s bargaining position. This vagueness allowed Leavers of different persuasions to claim to be offering the only true interpretation of what Brexit really meant and to speak for all those who voted Leave. Second, having chosen to press on with the process by triggering Article 50, May sought to strengthen her parliamentary position and also her negotiating hand by holding a general election in June 2017. This ploy failed spectacularly, leaving her without a majority in the Commons and dependent on the small Democratic Unionist Party. They later turned on her as the question of the future of the Irish border loomed large in the negotiations. Third, May had already committed herself to a version of Brexit on the harder end of the spectrum, upsetting those on the softer end as well as Remainers. It was a version that could be negotiated with the EU, but only with concessions, inevitably disappointing the hard-line Leavers. When a deal was agreed with the EU last November her core support in the Commons tuned out to be uncomfortably narrow, well short of a parliamentary majority. Once her deal was first defeated in the Commons in January the Prime Minister needed to expand her support. But she did so by looking only at the hardliners as they were largely members of her own party. Her first approach was to try to get the EU to change the Withdrawal Agreement but they could only offer some clarifications. They were not going to budge on what had already been agreed. Her second approach was to run down the clock to scare the soft-liners and Remainers with the chaos of no deal, but the hard-liners decided that they quite liked that idea. When Parliament voted strongly against leaving without a deal that threat was removed, at least for the moment. That is why May had to go to the European Council to get a limited extension to Article 50. Then she moved to demonstrating to the hard-liners that if they did not swing round to supporting her Brexit then they would get no Brexit at all. She added a promise to leave office for the next stage of the negotiations as an incentive to the more ambitious Leavers who wish to replace her. These were the most successful of all her manoeuvres and cut the majority against her deal substantially in a vote last Friday. But not by enough, for nothing had been done, such as a promise to stay in the Customs Union, to entice soft-liners to support the deal (because that would enrage the hard-liners even more) or to ease the DUP’s concerns on the contentious issue of the backstop to keep the Irish border open under all circumstances. In this way two persistent and divisive historic controversies – Ireland and Europe – came together to produce the greatest British political crisis of modern times. Whatever is now going to be done has to be decided before the European Council meets on 10 April, two days before the new departure date. The EU is clear that there can be no extension beyond that date without a readiness to participate in elections to the European Parliament in late May and some plan for what is to be done with extra time. If this is agreed the UK will stay at least to the start of 2020 and possibly well beyond. Any plan will involve either a renegotiation of the Political Declaration which accompanies the Withdrawal Agreement and describes the future relationship with the EU or a new referendum or a combination of the two. Although the Political Declaration can be renegotiated with less difficulty than the Withdrawal Agreement, this could not be done in a matter of days. It is a sobering thought that the UK debate has barely moved beyond the issue of how to get out of the EU and into a transitional period, when the real big issues on such matters as regulatory alignment and trade would have to be settled. Another mooted possibility is a general election but with her party and Cabinet bitterly divided, May’s premiership on borrowed time, the Labour Party belatedly pulling ahead in the polls and the wretched Brexit issue still undecided this would barely come under the heading of a bold gamble for the Conservative Party. It would be a headlong rush into catastrophe. When a new leader is in place and with some clarity on Brexit then an election could happen. But not yet. Parliament is having a series of “indicative votes” to test opinion on alternatives. The first one was last Thursday and produced majorities against every conceivable option from no deal to revocation. The second on Monday, will narrow the possibilities down, with another attempt if that fails scheduled for Wednesday. It is even possible May will bring her deal back for a fourth go, but the basic arithmetic remains the same. The hardliners will still try to force the country into crashing out but the serious options now look like a soft Brexit or a referendum, both involving a long extension. Having personally never been an enthusiast for a second referendum, this now appears to me as the least bad of a series of poor options. It is possible that some Leavers will now see this as preferable to a soft Brexit that is less transformational than they hoped. The Leave campaign in a future referendum, however, will have to be much clearer on what it actually wants and less fantastical about the ease with which it can be achieved. Remain will need a much more positive campaign than just banging on about economic costs. The EU will be an even less hospitable environment for the UK in the future. The challenge the UK now faces is inherent in the Brexit project itself. It was never going to be easy to extricate the country from such a complex institution. But the natural difficulties have been compounded by a series of unforced political errors. Lyndon Johnson is reported to have said that the first rule of politics is to know how to count. Since December it has been apparent that within the Conservative Party the numbers incline to a hard line but in Parliament as a whole they incline to a soft line. May has never been able to manage this tension. Political arithmetic can be altered but that requires an ability to get others to change their minds, whether through inducements or heavy persuasion. Unfortunately May’s approach of seeking to press ahead with her deal by dismissing all alternatives as unacceptable has left her in a hopeless position as one of those alternatives must now be chosen.